Body scarification or body modification was an integral part of African culture that helped distinguish one person from the other in ancient Africa and is still a part of many African cultures in modern times. 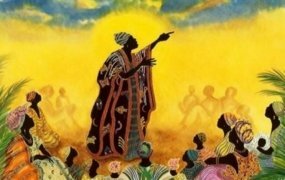 For the ancient African, names were not enough identification. For them, body scarification served a more important role in helping to identify where a person is from and from which particular household, sub-ethnic group or ethnic group he belonged to. The term body scarification is a western ideology used to describe the intentional branding of humans through burning, etching, scratching or marking of symbols or words into the skin. To the ancient African, it was not known as body scarification and certainly did not carry any negativity. Due to the negative connotation that comes with the term body scarification, especially when discussing within the parameters of Africa, many scholars have opted for the term body modification which carries less of a negative or primitive effect. One of the most intriguing body modification practices was the teeth sharpening ritual that prevailed in parts of Africa, particularly, central Africa, eastern and southern Africa in the early 18th century. Although they also modified the body with tribal marks, which is more popular in West Africa, for many ethnic groups in Central and southern Africa, tattooing and teeth sharpening were more prevalent with the latter being the most popular. The teeth sharpening ritual is most popular among the Makonde people in southeast Tanzania and northern Mozambique, the majority of ethnic groups in the Democratic Republic of Congo including the Bopoto and the Zappo Zap people. Some tribes in the Central African Republic, the Bemba of Zambia, and even the Yao of Malawi and parts of Zambia also practised the teeth sharpening ritual. Teeth sharpening was done for various reasons among these tribes. For some, the ritual was done to initiate young boys and girls who had reached puberty into adulthood. For these people, it was done during the adulthood rites of passage mainly because at that age they would be able to endure the pain to show that they were indeed ready for adulthood this was mainly among tribes in Congo and the Central African Republic and Gabon. 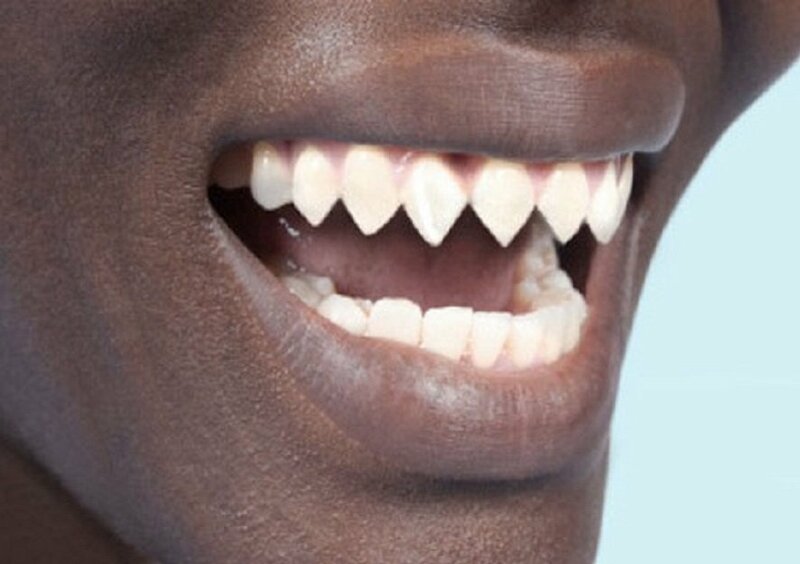 For other tribes, the teeth sharpening ritual was a general part of their custom and any person belonging to such a tribe was expected to have sharpened teeth at an expected age. In parts of Sudan, where indigenous tribes existed, the teeth sharpening ritual was also done for spiritual protection especially when one was seeking spiritual strength or chosen as a spiritual leader. Other reasons for the teeth sharpening trend is for men to look like animals such as the crocodile as a sign of masculinity. This is a common belief among the Pare people in Tanzania. 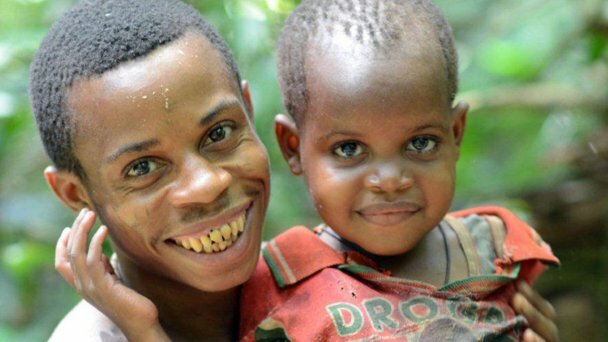 Among the Upoto tribespeople in central Congo, the teeth sharpening ritual was done according to sexes. Men filed only one tooth while women filed more than one, especially before marriage. 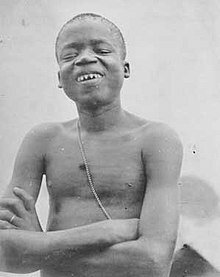 One of the most popular Congolese to have his teeth sharpened in ancient Africa is Ota Benga who was taken from his home and into zoos in the USA to be displayed. Several other tribes like the Makonde people performed the teeth sharpening ritual to make their people more beautiful. Among these people, more women had their teeth sharpened and were a symbol of beauty. The teeth sharpening ritual was not done by just anybody as it required great skill and patience to prevent injuring a person while the ritual happened. The sharpening was done by chosen men or women who were believed to be born with the skill gifted to them by the gods and they were able to train chosen people to help them. With the introduction of education and westernisation, the teeth sharpening ritual died down during the 20th century but is still practised among small indigenous groups in parts of Central Africa who refuse to have contact with modern society.